(I2075) Coro Duette Rhinestone Pin or Dress Clips. 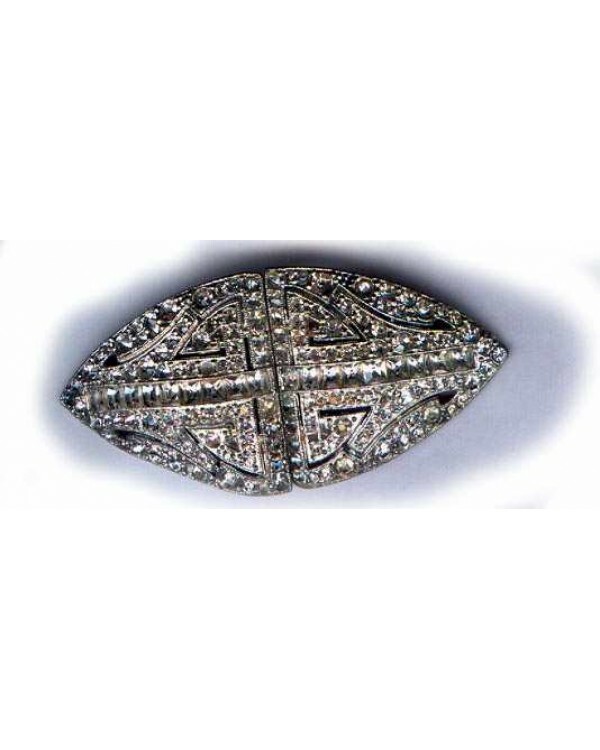 Duettes are twin clips attached to a pin back, so they can be worn as a pin or separtely as dress clips. This Gorgeous Rhinestone Duette measures 3 1/4" and has the patented back that is a pin holding the 2 dress clips. Marked Coro Duette in script, this is in fine condition with 2 stones missing.